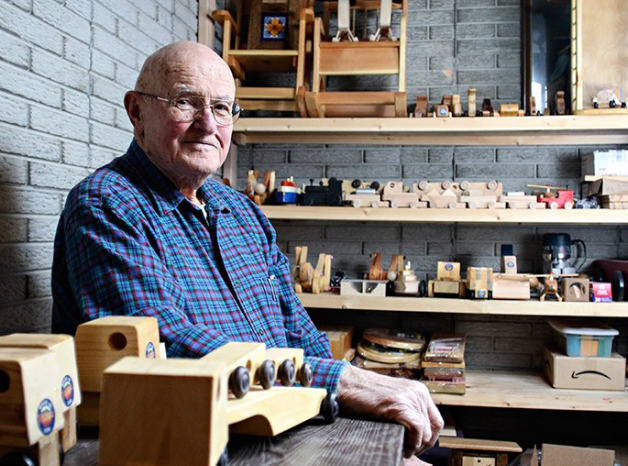 As a cold wind whipped outside his heated shop, inside Edwin Toren put the finishing touches on a dozen doll cribs and reminisced about growing up on a farm on the Rocky Mountain Front. The thought of those meager Christmases sends Toren, 70, into the shop behind his house in Columbia Falls almost every day. “I just can’t stand the thought of a kid not getting a toy on Christmas morning,” he said.